China is rich in culture, adventures and nature, while having affordable travel options and great places to stay. It’s a country every savvy backpacker wants to visit at least once in their life and we don’t ask ourselves why – the Great Wall of China is one of the Wonders of the World, metropolitan cities like Shanghai and Beijing, interesting food, incredible landscapes and great people from all over the world make it pretty obvious, right? 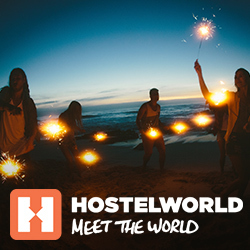 Not to mention the amazing hostels all over the country which are not only cheap (with prices starting from £2.00) but also the perfect place to start an adventurous trip. With great choice comes great responsibility, but don’t worry, we’ve collected the best hostels in China so you can lean back, practice your chopstick skills and have an unforgettable time. If you have a heavy backpack and need to get rid of some books, drop them here and enjoy a great discount! The Phoenix Shanghai is all about sharing is caring, so why not share a room, experience, the great view on top of the rooftop bar and make great memories with travellers from all over the world in this incredible hostel in the centre of Shanghai. Let us give you some travel advice: if you are about to explore the Great Wall (and visiting China, we are sure it’s on your list), this hostel is the perfect starting point. The Great Wall Box House is described as ‘zen, magical, chill, amazing, pretty and awesome’ because of its great facilities, the social atmosphere, the best tips and friendly staff (and cat). Address: No. Jia 18, XiDui Main Street, Gubeikou Village Miyun ??????????????18? If you are a solo traveller, in a big international city, we know what you need – a great and social hostel, with a bar to meet people in and enjoy the best of metropolitan Shanghai. Luckily we’ve got the Rock&Wood International Youth Hostel for you, which gives you exactly that! Enjoy the atmosphere, feel at home and go out and explore with new travel mates. If living in an old, traditional Chinese house with a beautiful courtyard sounds like an experience you can’t wait to have, then Red Lantern House in Beijing is the perfect choice for you! Hidden from the busy streets of Beijing, in the preserved Hutong area downtown, (once home to royal and noble families) you can enjoy the traditional Chinese architecture while staying in this family run hostel. For the best tips, to meet travellers from all over the world and to experience a unique stay, you are just a booking button away. Peking Station Hostel is close to everything on your Beijing bucket list. Only a 15 minutes’ walk away from Tian’anmen Square and the Forbidden City, it’s the perfect place to head out and explore. The beautiful garden serves a great spot to meet new friends over an afternoon tea and the hostel bar to toast new friendships and great adventures. Address: Between Suzhou Hutong Building 2 and Building 3 ??????????2???3????????????? This hostel was created to set a whole new standard for travellers and the result is outstanding. The owner, once a traveller himself, wanted to combine everything a backpacker wants and needs while adding his own spice into the mix. And he was successful: it only opened in 2018 and savvy travellers are already crazy about the facilities, the atmosphere, the great food, fresh beers, the spacious rooms and the top location – we are sure you will be too! The Peking International Youth Hostel is simply plantastic. Attached to a beautiful café with rooftop terrace, you will wander through a lush jungle of motley plants that impart a special and welcoming charm. It’s located in the colourful and vibrant Hutong district, a great location while being a quiet getaway, offering spacious rooms and a lot of places to relax. With all these perks, it’s time to plan(t) your trip! Address: No. 113-2 Nan Luo Gu Xiang, Dong Cheng District ???????? If you are looking for a spacious room with a view, close to nature and the centre too, then look no further – Xishu Garden Inn Hostel in Chengdu will give you and your significant other the stay that you were hoping for. Grab your loved one and enjoy the sunset on their rooftop with a cold beverage and delicious food – can it get more romantic than that? We doubt it! Kelly Zhang created a fancy oasis in the middle of the Xidan District, also known as the Chinese Wall Street. With main sights, like the Forbidden City, Tiananmen Square, BeiHai Park and Shishahai close by, it’s a convenient spot… But, what will make you fall in love at first sight are the spacious and beautifully designed rooms, there’s a mix of traditional and romantic Chinese, South East Asian and European styles. Kelly’s a fashion designer and passionate traveller and she puts these two talents together to give you a special experience you won’t forget when visiting Beijing. The Jade Emu’s International Youth Hostel’s team knows what international travellers need, bringing people from all over the world together by creating a social atmosphere. Here, you can enjoy a private room, or even a deluxe two bed apartment, while staying in budget and still meeting other travellers during meals, in the common hangout areas or the bar. Located in Dali Old town and having budgeted tours available, you won’t be short on adventures too! Address: Area 10, West Gate Village ?????????? (214?? ?????????77????? If you are up for a wild time, Shuyuan International Party Hostel in Xi’an will be your place to stay. With one of the hottest bars in the basement, the Park Qin Bar, you won’t have a long way to go to get some of the city’s nightlife and an amazing atmosphere. There are plenty of options to meet fellow travellers and experience some special parties, not least because of their free dumpling making party every Friday which is a true food fiesta! Address: No.2 Shunchengxixiang, Nanmen Li ???????????????2??????????20?? If you are travelling for an unforgettable time, hostels are generally a good idea. Even more when they have plenty of events on, like… how about every night? Send your new mates Chinese love letters with Calligraphy on Mondays, challenge them on Tuesday and Wednesday’s games nights, prepare for the busy weekends on Thursday’s sauna night (also on a Sunday for good recovery), have a feast on Friday when the Dumpling party is about to start, and go wild on Saturday’s beer pong, the travellers’ favourite event. With freebies galore, like movies, guitar playing, Chinese lessons and pool tables inside the hostel, you will find yourself struggling to ever leave. Han Tang Inn’s organised tours might help, visit the famous Terracotta Warriors, Mt. Huashan or even Tibet … you’re right in thinking that this will be the trip of a lifetime! Address: No.7 NanChang Xiang (Alley) XinCheng Guang Chang(Square) Nan Xin Jie(street) ???????????????7? Nearest station: Xing Cheng Guang Chang???? ; Zhong Lou ?? The Chengdu Flipflop Backpacker Lounge Hostel in Chengdu not only claims that it’s one of the city’s best hostels, it bases this statement on very convincing facts. Fact 1: The hostel’s location is close to Chengdu’s best area for backpackers. Fact 2: The hostel has the perfect hang-out spots to meet other travellers and have a great time – like the lively lounge. Fact 3: They have a lot of events and freebies, like a ‘Dumpling Party’, workshops, shows and unforgettable pub crawls to the most exciting bars. Is it really fact or fable? It’s time to plan your trip and find out. What’s the price of the world? We don’t know but WHAT we do know is the price of private rooms while travelling don’t need to break the bank. In fact, comfort and a good price can go hand in hand, for example in the Beijing Downtown Travelotel. Enjoy a great location and a vibrant atmosphere with a lot of things to do and return to a calm and comfortable room with brand new facilities, silky sheets and a brilliant big breakfast in the morning – so all the things that make you perfectly happy. In the centre of ancient Datong, close to the Huayan temple and just a stone’s throw away from the Nine-Dragon wall, this hostel is a place to rest and lean back. The private rooms are available at some of the best prices… but there’s more, this hostel offers amazing tours to the Hanging Temple and grottos, traditional Chinese tea, an on-site bar, a library, guitars and a cosy living room to hang out in. We’d understand if you’d never want to leave! With its size and endless things to explore, China can be a challenging country to travel in – so you are right in thinking you can pamper yourself a little bit. Luckily, a treat doesn’t need to cost much. Welcome to Masherbrum Outdoor Guesthouse, your little Backpacker-Oasis in Chengdu where you can experience luxury, spacious rooms, fluffy beds, a flat-screen TV, modern design and a lot of light. Their elegant rooms make you feel right at home and the rooftop sun terrace is a place to enjoy the amazing area without leaving the hostel. Do you fancy a hike (which we are sure you do)? Just head to the friendly reception staff and they’ll organise a mountain trekking and hiking tour – they literally move mountains to make you have the best time! Did you ever dream of having your own room in Beijing’s Hutong neighbourhoods, especially in a renovated Chinese courtyard house? Being Fly By Night Courtyard in Beijing will make your dreams come true! It’s rated 10/10 and lives up to its expectations – the traditional style, a free hearty breakfast, comfortable beds and the friendliest staff are hard to beat. But the best is yet to come! It’s created by a lovely, art-loving owner who is happy to teach you about martial arts and learn about every talent you bring (sometimes even in exchange for a free bed). If you want to stay right in the centre, the 365 Beijing doesn’t disappoint. The Chairman Mao’s Mausoleum, Tiananmen Square and all the major attractions are just a short walk away or easily accessible, so you will have the perfect base to go and explore. The house itself has 150 years of history mixed with modern elements for a truly unique experience. And if you want to treat yourself with a drink after a long day of exploring, the in-house bar will serve you well – literally. Han Tang House is located in a quiet street while still being within walking distance to all of Xian’s gems. It’s another one belonging to the Han Tang all-rounders, offering you loads of freebies – you can play the hostel’s guitar and have Chinese lessons while sitting on your free towel – as well as joining the amazing events every night. Learn how to make dumplings, become a beer-pong master, learn how to write in Chinese (which also makes the perfect gift) and relax in the sauna (yes, we said sauna). With tours to the Terracotta Warriors, Mt Huashan and even Tibet, it’s hard to imagine that there will be a better place to stay. Address: NO.7 Nan Chang Xiang, South of Xincheng Square ???????????????7? Shanghai Blue Mountain is near enough to the major attractions while still being a quiet getaway at night. Only a five-minute walk from the bustling Nanjing road and ten minutes from the Bund, it’s hard to believe that you could find a better location. The hostel features a cool roof top terrace, where you can enjoy drinks and play a bit of pool. The best bit about the location is definitely the room’s views over Shanghai – fancy! Do you want to see all of Chongqing at once? The Lonely Village Youth Hostel has an unbeatable view from the 50th (!) floor, looking over the whole city with a lovely swing right in front of the window – for everyone who wants to add a little spice into their Insta-feed. The location and the great atmosphere do the rest, so don’t hesitate and experience a true hostel with a view. You can’t go wrong with a hostel that has a sky bar, especially with a view like this. At Sky Palace Hostel, you can gaze at Guilin, a city surrounded by mountains while enjoying a cool drink with new hostel mates. With various events, like a language exchange, outdoor movie nights, and free hiking (a traveller’s dream), it’s easy to meet new people and experience the things that make travelling so special. That being said, you should stay ON TOP of your travel game with a hostel like Sky Palace! Yangshuo Sudder Street Guesthouse is a fairy-tale that came true. Nestled in between lush mountains and fields with a taste of remoteness and adventure, you can find this impressive oasis right in Yangshuo. Enjoy the incredible view while floating in the hostel pool, explore the mountains with new friends from all over the world, join exciting tours (or rent a bike and explore by yourself) and make memories you’ll still dream about a long time after your trip. It sounds unreal, but it does exist – and you can book it now. Address: No. 74, ShenShan Village ????????????????300?????????? Nearest station: Bai Li Xin Cun Kou ????? Everybody needs friendly faces and a welcoming atmosphere when visiting a new country and Guilin Central Wada Hostel does this well. Guests love the staff for their helpfulness, friendliness and all their efforts to make your visit in Guilin the best experience. The hostel itself is perfectly located, close to amazing food markets and hot spots in a cool part of the town. And after a long day of exploring, you will be happy to head back and enjoy their amazing food and extremely comfortable beds! Nearest station: Shi Zi Jie ??? Qingdao is the home of the famous Tsingtao beer and a great place to visit in China. It offers old buildings with a German influence, just a short distance to mountains as well as to the beach and a lot of activities and markets to explore. The old town has a huge impact on the city’s charm and that’s where you can find the Qingdao Kaiyue International Hostel! It’s within walking distance to the ocean, has clean rooms, a downstairs bar and a great atmosphere. Oh, and did we mention that it’s located in an old church? Nearest station: Municipal hospital ???? It’s a huge country with a huge choice – we hope in this hostel bonanza, you found what you are looking for. Have you been to China and got a favourite hostel we should know about? Let us know in the comments! The post From metropolitan cities to Wonders of the World: The 25 Best Hostels in China for every kind of adventure appeared first on Hostelworld Blog.